USANA, word! : Happy Faces with BiOmega Jr. Delicious creamy orange flavour; comes in handy single-serve packets; full of healthful Omega-3 fatty acids; ready to have straight from the packet…What is it? That must be USANA’s BiOmega Jr.! After its launch at USANA Asia Pacific Convention, BiOmega Jr. has been embraced by so many parents, and of course, their kids as well. There must be a very happy moment that you might have captured on your camera or your smart phone, just like our Network Development Manager, Cecilia Chen did of her son enjoying his BiOmega Jr.. WIN a 6-month supply of BiOmega Jr.! Take a funny or happy photo of your 4 to 12 year old kid taking USANA BiOmega Jr. If you already have a Facebook account, log in and go to the USANA Australia New Zealand fan page, post the photo on our Wall. If you haven’t got one, click here to register your account. After we post your photo in this album, it’s time for you to let your friends know and vote on your photo! Just click on the “Like” button against your kid’s photo to vote for him or her. The photo of the kid with the most ‘LIKES’ is the WINNER of the Happy Faces with BiOmega Jr. Competition, and will receive a 6-month supply of BiOmega Jr.! But that’s not all…there are more chances to win!!! 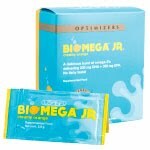 The next five top ranking photos will receive a 3-month supply of BiOmega Jr.. So, the more creative your photo is, the more friends you share your photo with, the better your chance to win! The winners’ photos could also be featured in some of USANA’s publications. The competition starts on 4th June and ends on 25th June 2012. Get in quick, to have an advantage. The earlier you post your photo, the longer the exposure during the competition period! The competition is for the Australian and New Zealand Facebook users only. It opens on Monday, 4th June, 2012 and closes at 5.00 pm AEST/7.00 pm NZT on Monday, 25th June, 2012. Any votes after the closing date will not be counted. Only the votes on the photo as “Likes” in the dedicated photo album will be counted; the votes in the Timeline, or the votes on the photo album, or comments on either will not be counted. In order to be able to vote on the photo, you will need to click on the photo and press the ‘LIKE’ button on the enlarged version of the photo. The posted photos will be uploaded to the photo album within 24 hours. The voting starts immediately after the photos are uploaded into the album. Only winners will be notified through inbox messages. In the case of a tie, USANA’s decision will be final. Prizes can’t be transferred or redeemed for cash. Winners’ names and photos may be published online or off-line on USANA’s marketing and communication materials. Parental consent is needed if the child in the picture is not your own child. USANA employees and their immediate family are not eligible to participate. By posting the picture you are saying you agree to the terms and conditions above. Click Here to get started on Facebook!